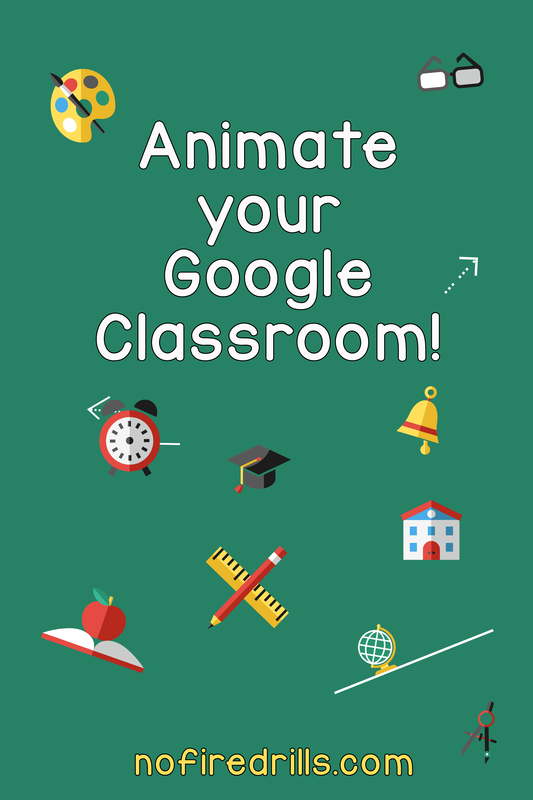 Animate Google Classroom! - Be your best teacher! Google Classroom comes alive! Customize and Glitter your Google Classroom theme with an animated gif. We have so many great header/borders available in our Teachers Pay Teachers store here! We even offer bundles so you can bring your Google Classroom to life or spice it up for the holiday season! First, find the upload picture button on the upper right hand side of your classroom. Next, find a gif file that you like in the proper size. The minimum is 800 by 200 pixels. Upload just like any other picture file. Now, you can adjust the size. Have you tried to do this for google forms and slides yet?